The good folks at Koryo Tours are hosting the China premier of an Austrian produced documentary “Hana, dul, sed”. If you’re into a more factual look at the workings of North Korea head along to the Bookworm in Beijing (details below) on Tuesday 27th March at 7.30pm. The director will be along afterwards for a Q&A. Join us for the China premiere of Hana, dul, sed … A documentary by Austrian filmmaker Brigitte Weich which gives us a subtle glimpse of the workings of Pyongyang society and the way ideology functions in its citizens’ work and personal lives. The film screening (98 mins) will be followed by a Q&A with the film’s director. The love of the beautiful game has certainly penetrated into the Hermit Kingdom. 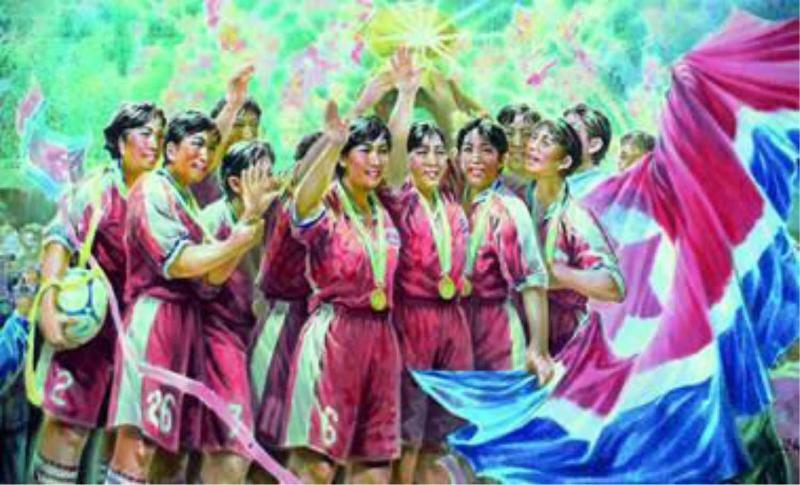 I’ve posted before about Centre Forward (1978), but here we have a documentary made in the DPRK about the national women’s football team. As you can tell by the footage they’re are a formidable, well-drilled team. Part two of the doc is after the break.